From the UCLA Gymnastics Twitter feed. As y’all know, I’m not much of a sports fan. And as I’ve confessed, I don’t think this speaks well of my character. As I said in a recent comment, I’m just not generous enough — or something — to identify with or thrill to someone else’s accomplishments. Except on rare occasions. (For instance, I was pleased for the Cubbies when they won the Series in 2016.) I like sports OK as something to do — or at least, I used to when I was younger — but I don’t enjoy them vicariously. That’s right, I start crying. Because another human being, a species that I happen to belong to, could kick a ball, and lift himself, and the rest of us sad-assed human beings, up to a better place to be, if only for a minute… let me tell ya, kid – it was pretty goddamned glorious…. 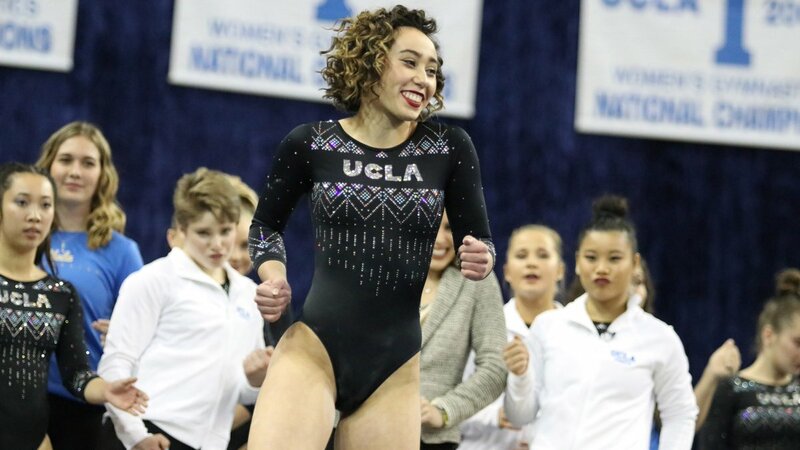 “A 10 isn’t enough for this floor routine by @katelyn_ohashi,” the UCLA Gymnastics official Twitter account tweeted Sunday, sharing a video of Ohashi’s stellar showing at the Collegiate Challenge, where the UCLA Bruins earned first place. As of early Monday morning, the video of the routine had been viewed more than 13 million times. A bit of confusion in the purchasing department? Duke Twitter flap: But was it ‘racial’? 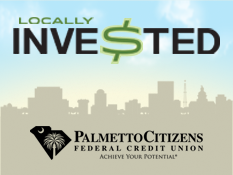 This entry was posted in Sports on January 14, 2019 by Brad Warthen. Oh, and as long as I was there, I also watched this clip, which is a great example of what this post is about. It shows our hero Louden spontaneously doing something in front of his teammates that blows them away, and makes believers of everyone who sees it, from Otto the team bully to the doubting coach. We’ll see her at the summer games! And while I won’t put it ahead of 1939 or 1967, 1985 was a pretty good movie year. A fairly innovative one. And that’s just counting the ones I saw and liked. I smiled all the way up until she did that split-bounce move. That made me wince, not for her but for me thinking how many days I’d spend in the ICU if I attempted that. You’ll be hearing from my lawyer, Esq. Bryan Caskey, shortly. He is representing me and my wife who will be suing separately for loss of spousal relations. I hear she’s looking for $3.78. I get what you’re on about. I also enjoy watching almost anything that someone does well. I even include things like manual labor. Watching someone do a job they are intimately familiar and comfortable with can be mesmerizing. There’s a little wooden sign that hangs in the kitchen of my parents’ beach house, which was originally my grandparents’ beach house. I’ve been seeing it since I was a little kid, like maybe back to the ’50s. If you like the Gay Dolphin, you’re gay. If that’s sports,you’re gay.She’s a freaking whirling dervish but no Mary Lou Retton. When the first strains of Tina Turner’s “Proud Mary” filled the Anaheim Arena on Saturday, Katelyn Ohashi came alive…. Actually, what you hear is a very short bit of an instrumental cover of the Creedence Clearwater Revival song “Proud Mary. Although the instrumentation does evoke the Ike and Tina Turner version. The part that reminds you that they never, ever do nothing nice and easy. So natural mistake, I guess.